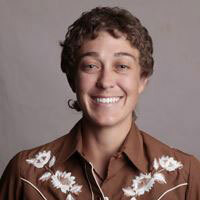 Lorig Hawkins is an organic farmer and co-founder of the Texas Young Farmers’ Coalition. Ms. Hawkins serves on the boards of the Texas Center for Local Food and FarmShare Austin. She was previously the lead farmer for FarmShare Austin, where she trained beginning farmers. Ms. Hawkins holds two Bachelor’s degree, one in Film Theory and the other in General Kinesiology and is completing her masters in Agricultural Education at Texas State University.